There’s already zero doubt that Motorola will be announcing a second generation of Moto Z devices. 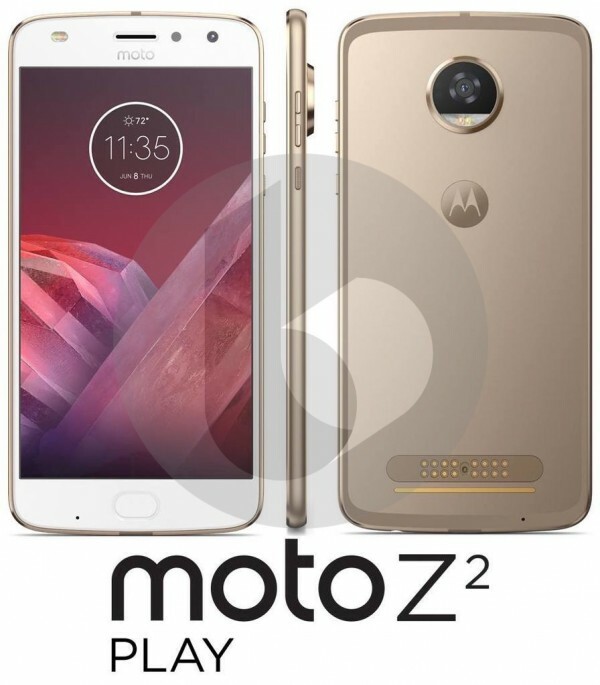 We’ve already seen the Moto Z2 (or Z2 Force) in leaked press renders. Unsurprisingly, they will look quite similar to the 2016 Moto Z models given that the company promised that those who invested in MotoMods would also get use out of them with the next iteration of the Moto Z. Today we take a first look at the press render obtained by TechnoBuffalo. Much like the Moto Z Play, we expect the Z2 Play will be a mid-range version of the Moto Z2/Moto Z2 Force with something along the likes of a Qualcomm Snapdragon 652 (the Z Play has a Snapdragon 625), a lower-res display, and large battery. The dual-camera is to remain reserved for the higher-end Z2 and Z2 Force models. Much like the Z2 render, the Moto Z Play will have the same wrap-around antenna band instead of glass “windows” like on the Moto Z. Otherwise, we can expect the same size 5.5-inch display with 1080p resolution. One last thing worth mentioning is the date on the render reads: Thursday, June 8. This could very well indicate the company plans to announce the Moto Z2 Play on this date, which falls within the same week as Apple’s annual developer conference WWDC. The 625 series are not battery hogs compared to 652.